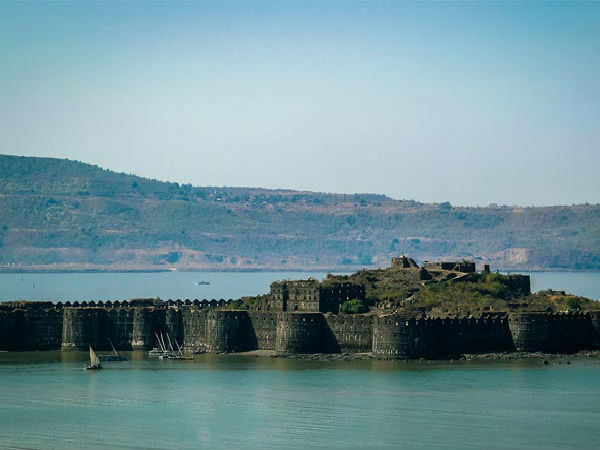 »Visit The Magnificent Murud Janjira Fort! Visit The Magnificent Murud Janjira Fort! Living in a city makes you value nature and its resources more than ever. Perhaps that is the one of the paradoxes of life. This paradox has got us craving for a getaway into the arms of nature, at every chance we get. A lot of times we might be left boggled, not being able to think of a place to travel. This usually ends with us spreading a fresh washed sheet on our bed and going into a good slumber. This article is here to save you from this routine! Murud is a charming and quaint village, located 156 km from Mumbai. Murud Janjira however, refers to the magnanimous fort that the village houses. The word Janjira is a play on the Arabic word Jazirah which means "island". The fort once used to be stronghold of the Abssynian Siddis, an ethnic group that had close-knit communities in certain places of Karnataka, Maharashtra and Gujarat. Murud Janjira has a pleasant tropical weather throughout the year and thus can be visited anytime. However, it is advised to avoid the monsoon months since it faces heavy rainfall. Murud Janjira is 156 km away from Mumbai and it takes almost 4 hours to complete the drive. Here are the places you can visit on the way to Murud. Navi Mumbai is located 22 km away, and is the first stop after beginning the trip from Mumbai. The main attraction of Navi Mumbai is the Wonders Park, which houses the replicas of the seven wonders of the world. Apart from this, you may go on a drive through the Palm Beach Marg which is fantastic for bike riders. Central Park is another place to visit in Navi Mumbai, which is a peaceful park stretched for an area of 80 hectares. However, locals usually crowd this place during the weekends. Karnala Fort is a hill fort believed to be built under the Devagiri Yadavs and Tughlaq Rulers, back in the 14th century. The fort was built since it was a great strategic location that overlooked Bor Pass, a conection from Konkan Coast to Maharashtra. The base of this fort is home to a beautiful bird sanctuary which is home to many different species of birds such as Three-toed Kingfisher, Slaty-legged Crake, Ashy Minivet, etc. Imagica Theme Park is situated right beside the Mumbai-Pune Highway, near Khalapur. This park will be the perfect pit-stop for the entire family because it has games for people of all ages. The park has rides for kids, family and thrill rides which can only be taken by the brave-hearts! Kids can also meet various cartoon characters at this theme park. Pali is home to two major forts namely, Sarasgad and Sudhagad. It is a favoured destination for trekkers from cities like Mumbai and Pune. Many trekking groups plan a hike up the hills and to the fort regularly. Sarasgad Fort, also known as Pagadicha Killa, can be easily identified due to the four peaks which was historically used as a watch tower. Ballaleshwar Ashtvinayak Temple is another place of interest near Pali. Built by Balwantrao Vithoji More in 1849, Dhavir Temple is a religious site located in the Roha village. It is dedicated to Dhavir Maharaj, who is believed to be the Gramdaivyar or the village God. 10 day festival of Dusshera during Navrathri is celebrated with much grandeur at the Dhavir Temple. Hanuman Tekadi is another temple that can be visited at Roha. It is built on top of a hill from where panoramic view of the entire village can be viewed. Considered to be one of the strongest marine forts of India, Murud Janjira was built on an oval-shaped rock and is situated near the Murud Village. This fortification is a marvellous and strong creation which has 26 bastions, all of it are still intact! The fort can be reached through sailboats available from Rajpuri Jetty. In spite of repeated attacks from Portuguese, British and Marathas, the rule of Siddis could not be taken over and the fort stood strong! A prime attraction of the place are the 3 canons, of which, the canon "Kalak Bangadi" is India's third largest canon which weighs over 22 tonnes! Murud Janjira fort is surrounded with a few places of interest. The stretch of Murud Beach with its gleaming white sand, tranquil water and sun setting at its backdrop is a must visit if you are at Murud Janjira. Garambi Falls located 8 km from Murud and the Mughal architecture of Ahmedganj Palace are the two other places that can be visited near Murud.